1 Pack with 80 Pcs. 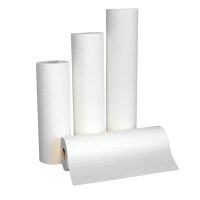 Paper underlays protect treatment tables, transport baskets and other surfaces against dirt and animal bodily fluids. 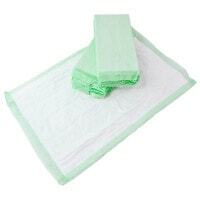 They are mainly used on wards as underpads for anaesthetised or sick animals and in animal breeding, e.g. in a whelping box. 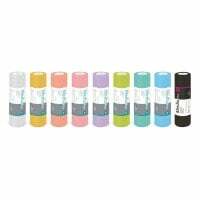 This category offers paper underpads on economical rolls - known as medical roll - which is spread across treatment tables to provide hygienic protection when treating small animals. 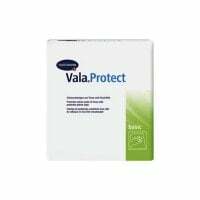 Vala Protect basic protective sheets by Hartmann serve the same purpose, but are made up of two layers which also makes them absorbent. 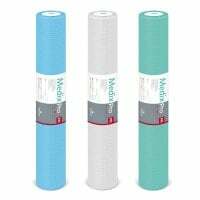 They protect surface areas of 80 x 210 cm against dirt and moisture penetration, and are impermeable to germs. Using paper underpads protects treatment tables from coarse dirt, for example when cleaning wounds or animals with parasite infestations. 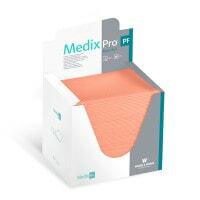 Paper underpads save practice staff additional costly cleaning and disinfection work. Our bestseller is the absorbent Veterinary Patient Underpad. It is available in two sizes and at a discounted bulk-purchase price when you order 3 or more packs of 100. 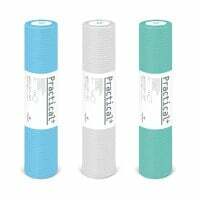 Buy great value paper underlays and absorbent patient underpads online from Praxisdienst-VET!